Martins BBQ is the place we like in Nashville. Went to two different locations there. They opened one in Louisville a few months ago too!! 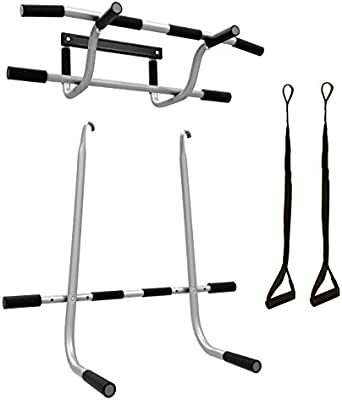 Any of you gym rats have a hex bar? Seems like a space economical thing for the home gym. but i’ve wanted to get one for a while. That looks fairly sweet, Balvert. I was thinking of getting these. Lebert Equalizers. Fairly versatile. I’d probably just be doing dips on that thing, tho. The occasional Romanian pull up. Maybe work my way up to that legless Hindu pushup (probably not). Unrelated to upper body, I did do a pistol squat holding a 35lb kettle bell, but then noticed some lower back pain. I am currently running 30-40 miles a week. Best I have felt in a long time physically and mentally. It is a wonderful thing for me and love being outside in all weather. That’s around the mileage my husband does. Do you have any plans to run a half or full marathon? I ran a half on September 2nd in Nashville Tennessee, and have another in November. I am trying to run one half marathoon every other month to keep a goal on the horizon. I have a couple of running buddies that are keeping me anchored into a routine which helps keep my miles consistent. That is excellent! Sounds like you have a great routine. I’m signing up my husband for the Seattle Marathon in October. Sounds like you shouldn’t run then. I love a good hike. I’m not saying they aren’t effective. I know I sound unfun and utilitarian, but running always seems like too much of a time investment. If you want the results of a lower resting heart rate, larger VO capacity, etc, there are much quicker, efficient ways to do it. I completely understand the meditative, nature-merging aspect of running and why it’s appealing tho. What is your resting heart rate, Grim? check out the amazing game of squash. I thought it was called The Wild World of Squash? If I were to go ultra-Honky with a sport, I’d probably go with ultimate frisbee. Seems like a cardio enhancer.